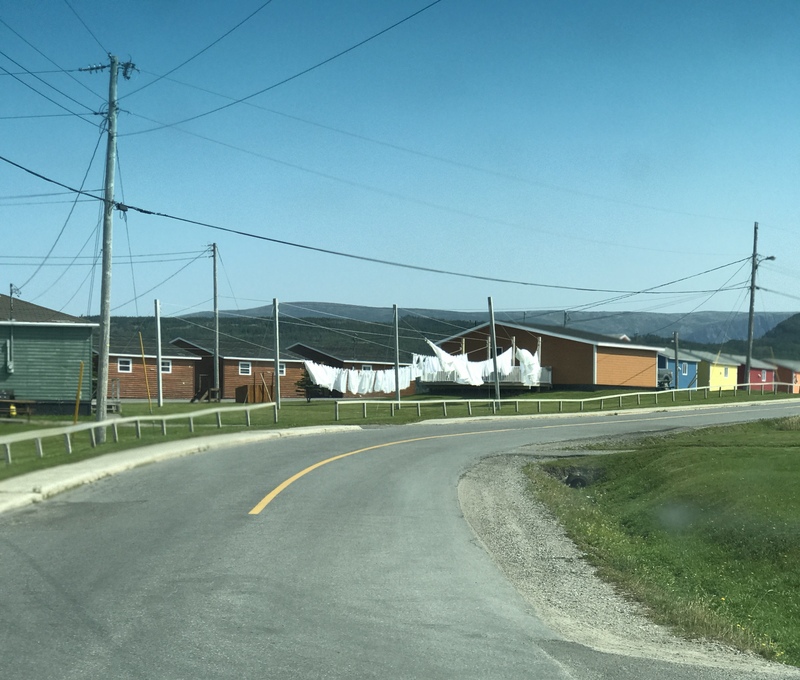 I entered Labrador via Quebec Province, Hwy. 138, went through two cities, Labrador City, pop. 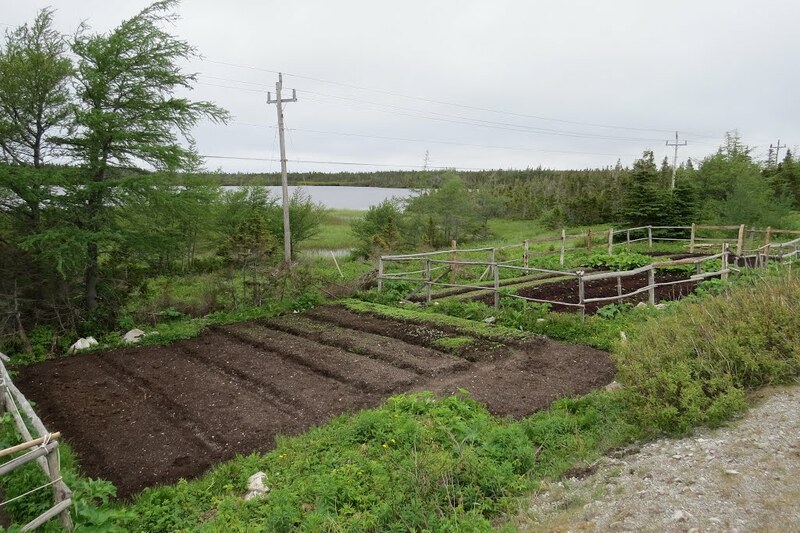 7,000 and Happy Valley/Goose Bay, pop. 8,000 (USAF base is there), and one hydro-electric company town, Churchill Falls, pop. 650. 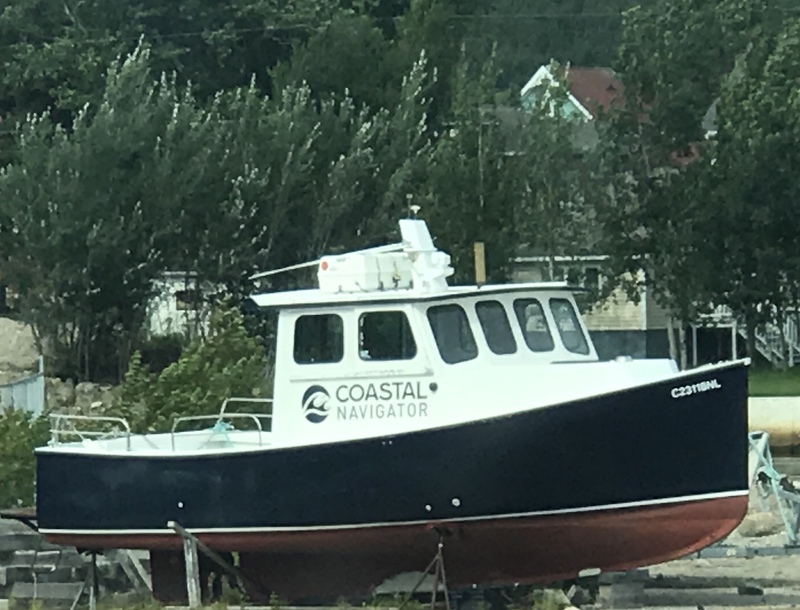 This leaves a remaining population of approximately 15,000 people, who are only accessible by snowmobile, dog sleds, planes in winter and float planes and coastal ferries in the summer. 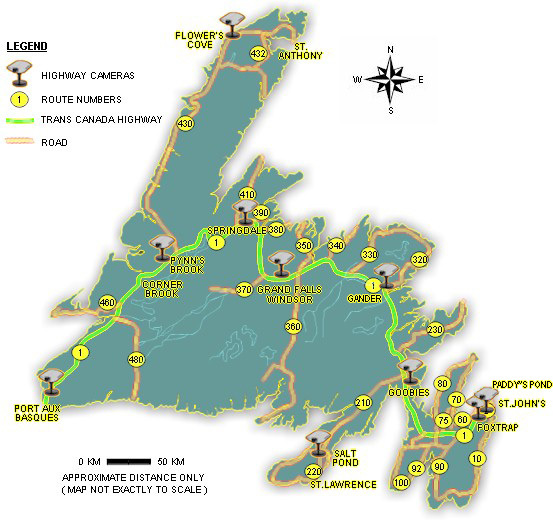 The coastal ferries do run in the winter, but if the ice is too thick, it may be weeks before they “load and go.” The Trans-Labrador Highway is the only road in Labrador, although there are four short roads (10 to 26 km) branching off to less then ten communities. 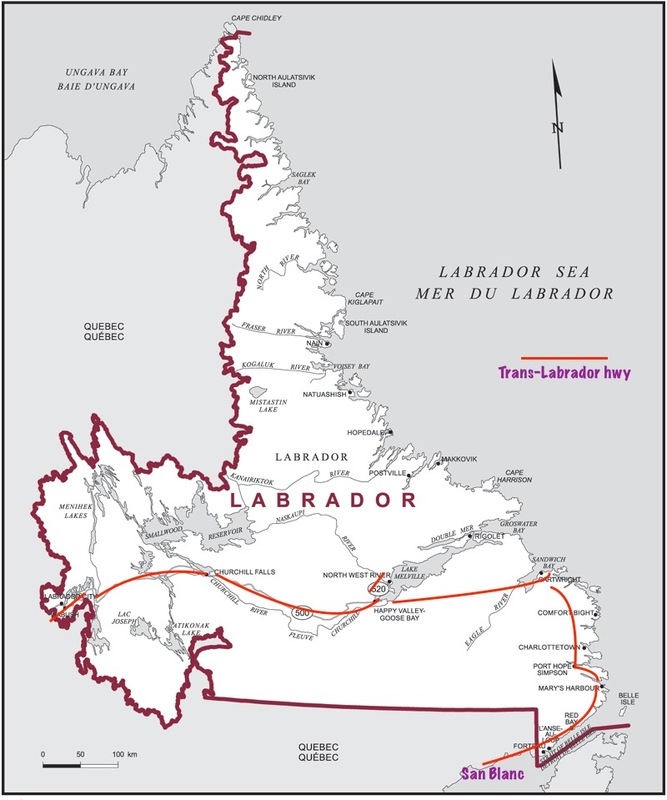 The Inuit, the Innu, the Mi’kmaq and the Southern Inuit of NunatuKavut (formerly the Labrador Inuit-Metis) make up the Aboriginal Tribes or First Nation tribes in Labrador. 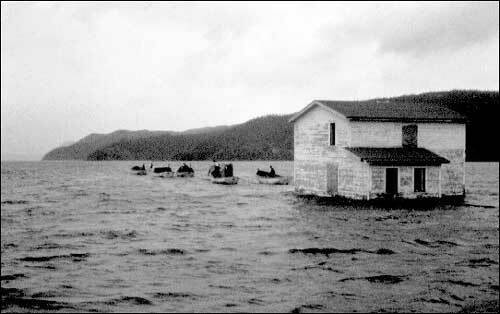 Prior to 1950, there were very few non-aboriginal people living in this province, but with the advent of mining for iron/ore and construction of hydro-electric dams, settlers moved in to make up the workforce. Go on an adventure and see an undiscovered land while it is still one the very few unspoiled spots in the world. 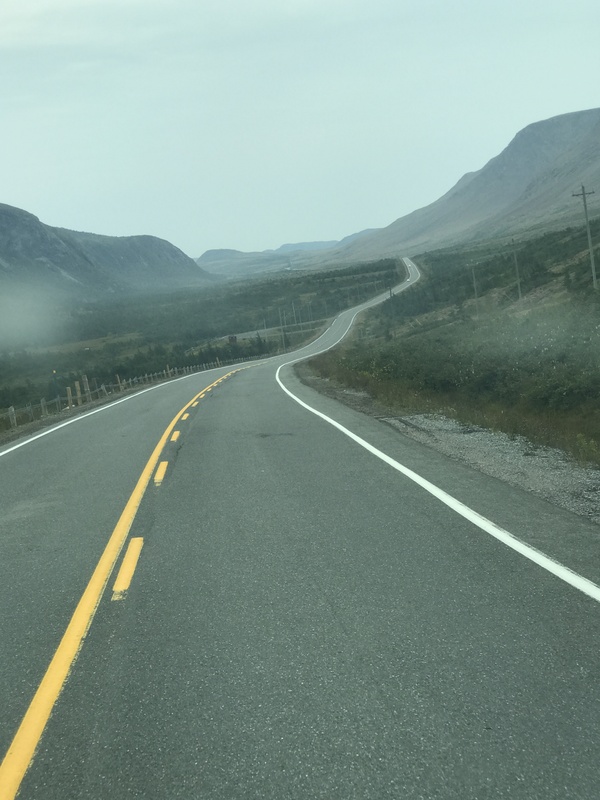 It will be gone soon once the Trans-Labrador Highway is fully paved. I know I am repeating myself a bit from the previous post, but thought the map info would be more enhanced by refreshing the memory! Info on a five day dog sled trip, how fun would that be!!!! Bring back a true Labrador puppy :)! 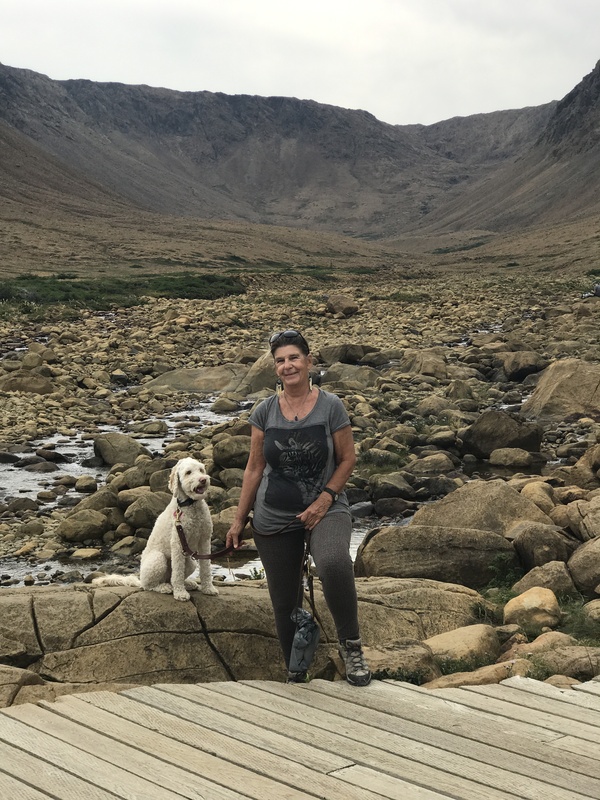 Good-bye Labrador and hello Newfoundland! 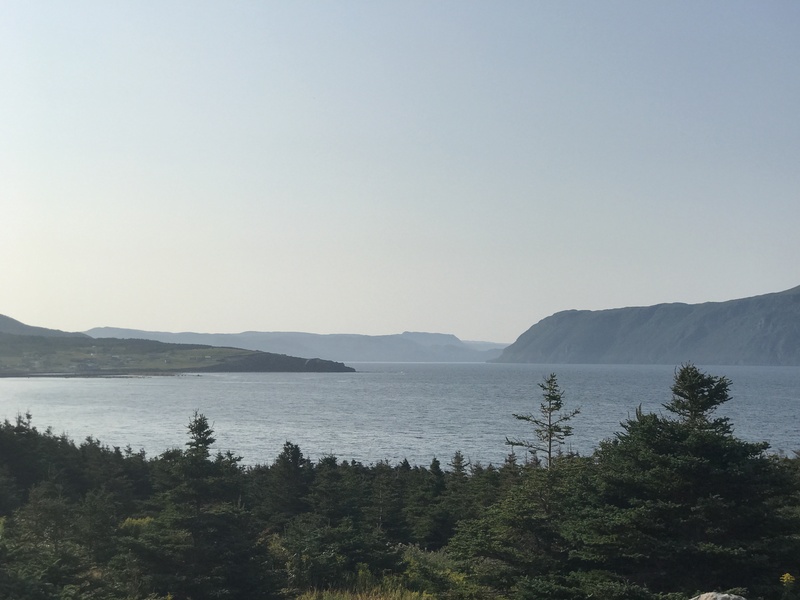 Newfoundland is gorgeous. We boarded the ferry in San Blanc and arrived in St. Barte, Newfoundland, 1 1/2 hours later, not without drama though. Hanging from the driver’s side was the sani-dump hose which connects to the black water holding tank. I had long since stopped using the RV toilet and opted for a porta-potty. A dock worker commented to me,”A hose is hanging out and dragging.” I said, “I know and as soon as I stop behind that truck, I’ll fix it w/duct tape” As I was getting out of the van, another worker pointed out the hose hanging down and I said, “I know, I am getting some duct tape now. Better yet, do you have any wire cutters and that’ll take care of it for months until I get the whole thing re-worked.” His eyes widened and he said, “Let me help you, ma’am.” His ingenuity eventually trickled down to….duct tape and wire cutters also. 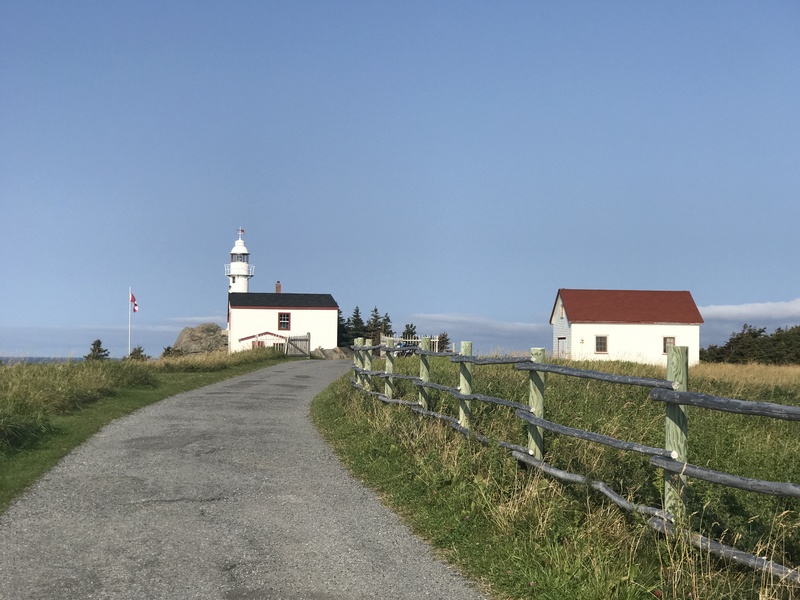 We followed the Viking Trail, Route 430 to St. Anthony’s for some sightseeing, get information from the Visitor Center for orientation and find a campground. I stopped for lunch at the rest stop adjacent to this stream. An older gentleman on his ATV with a small wooden wagon attached to it stopped and we chatted about fishing and the small coastal towns. He was on his way to pick up wood from the beach but we ended up talking for an hour or so. 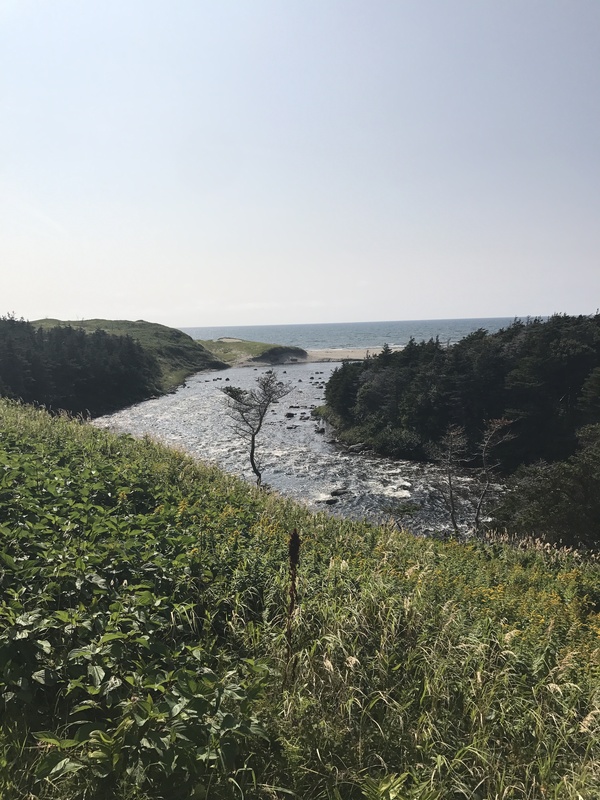 Streams have been closed for salmon fishing, fewer days are allocated for cod fishing, sand dunes are being protected to bring shore birds and stabilize the dune grass and the younger generation are leaving and moving to town. That was the gist of our conversation. He told me about the resettlement programs, which I knew nothing about. He pointed out homes where “resettled people” lived and their adaptation to a new life that happened so many years ago. Later on, when I was hiking in Gross Morne, I met a woman whose mother was re-located and they still occasionally visit their ancestral island. It reminded me so much of the agricultural or steel or coal areas in the US where people move because the way of life has changed and the grandkids take a visit to see where “Mama and Papa” once lived. The resettlement program started in 1953, a few years after people began to move to more populated communities. To ensure that all people in Newfoundland and Labrador would have access to adequate amenities such as healthcare, travel, schools, and post offices as well as push people into urban centers where industrialization created higher demands for workers, in 1953 the Dept of Welfare began giving financial assistance to families who wanted to be resettled. Prior to this, some communities were abandoned without any help by the government. 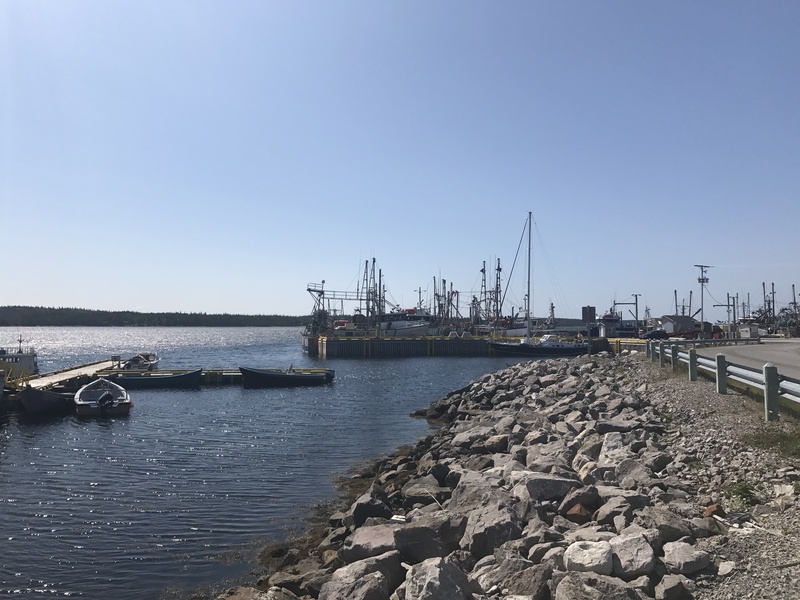 This resettlement program underwent many changes in financial support for people leaving the small comunities until the mid-70s when the entire program was abandoned. http://www.tcii.gov.nl.ca/parks/p_pb/index.html After speaking with the park ranger at Pistolet Provincial Park who said, “Why take a whale tour? Go to this hill, watch the boat pull out and follow it until it stops. Pull out your binos and see the whales! Alright! I did just that and saw the whales blow late that afternoon! Wood for the winter! 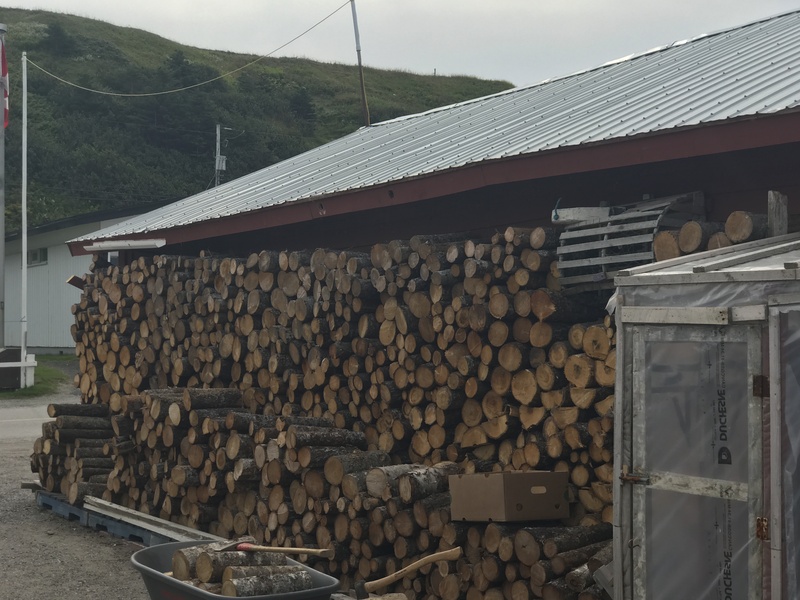 I have never in my life seen so much cut wood. Then I understood when locals told me the snow is at times 8′ to 12′ high. Now I also understand and why there are doors leading outside on second floors of houses! Local crafts shops also gave me an inkling to what life is like in Newfoundland during the winter. 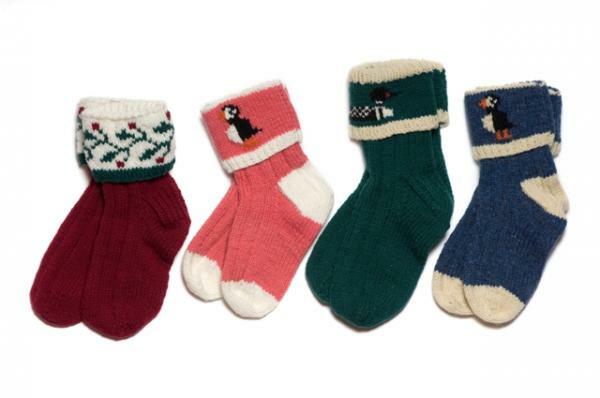 100% wool sweaters, socks, mittens, leggings, hand/wrist warmers, hats & mukluks(slippers with leather soles and woolen tops.) Cotton quilts made from left-over fabric, much like how I imagine quilts from the US’s mid-west, are strewn over the backs of chairs, over tables, piled on the shops floors. I bought one because there was such a peaceful feeling about it. I imagined a woman, seated in her living room by a window as she looked at a frozen land. The wood stove’s heat and smell filled the room while her hands automatically moved the small needles stitching one fabric square next to another. 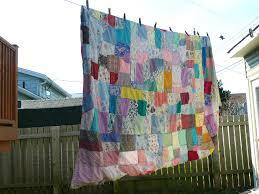 Were the fabrics from children’s clothes no longer needed, a husband’s old dress shirt, a torn sheet? Were there memories attached? I’ll never know. 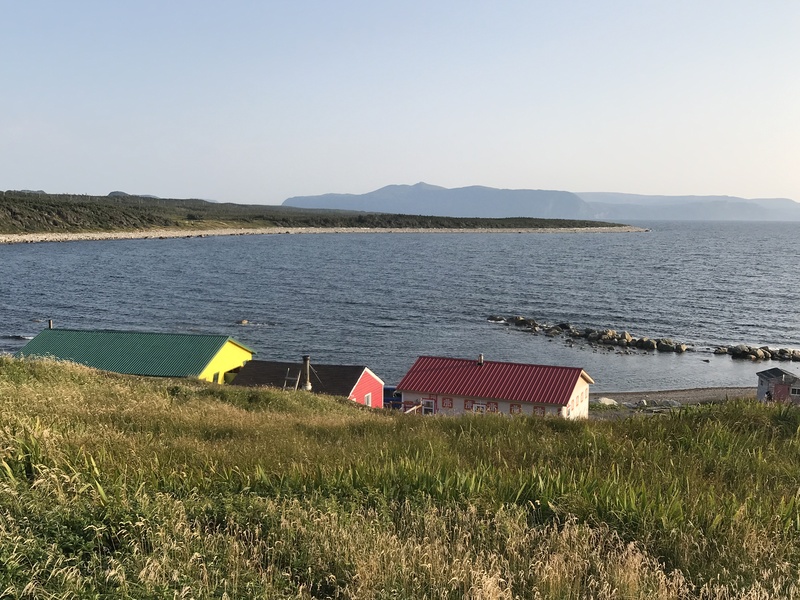 From St. Anthony’s, we drove south on the Viking Highway, past the ferry landing, and on to Gros Morne Heritage area, which is a primary tourist destination of Newfoundland. And well it should be. 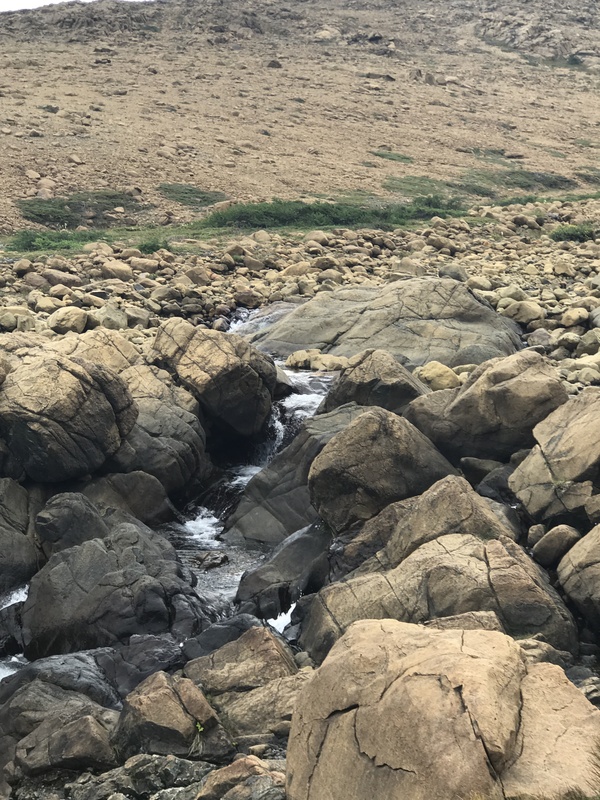 Spectacular coast lines with rugged cliffs, narrow beaches and sand dunes repopulated with rare shore birds met my eyes. An occasional brilliantly red lighthouse dotted the coast breaking up the blue ocean and summer green turf colored hills. Every turn brought a new vision, some pastoral, some with low growing brush and one felt like I had landed on Mars. The Tablelands. 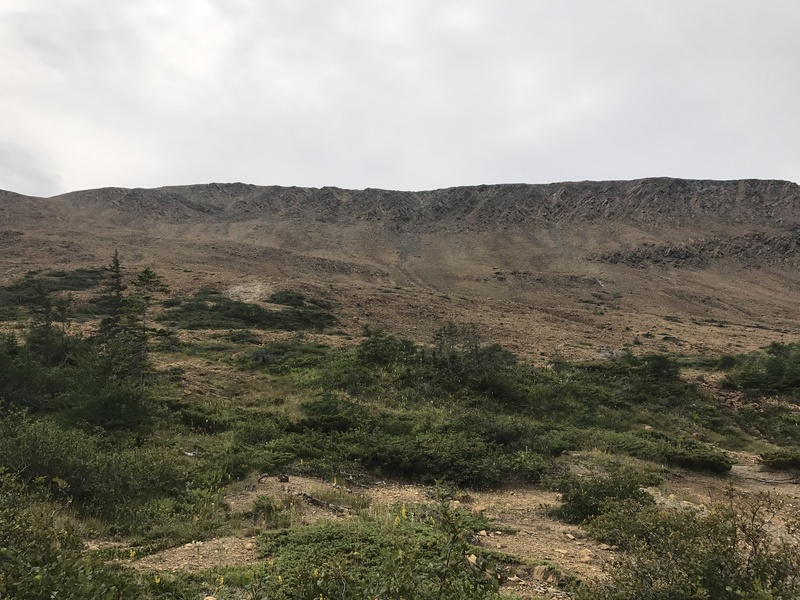 Peridotite is the rock in that makes up this portion of Gros Morne Heritage area. I took the guided walk(!!) 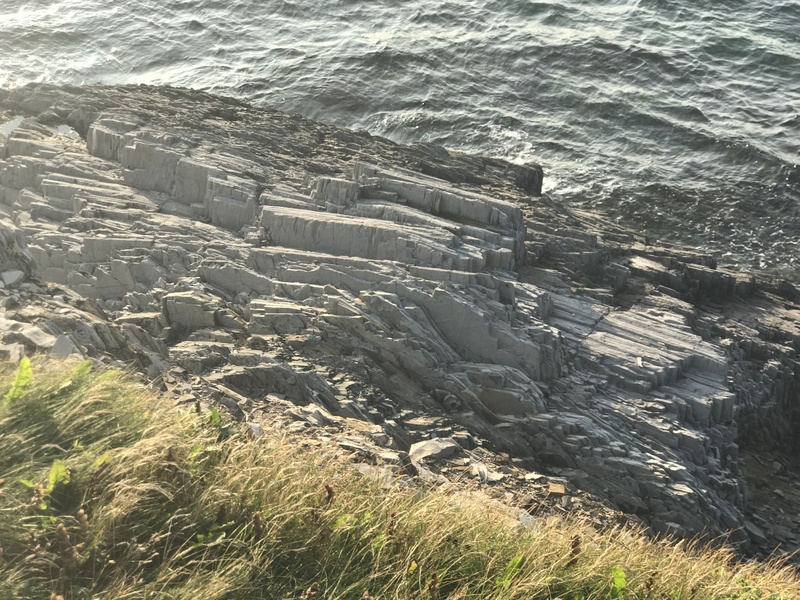 and learned it is thought to originate in the Earth’s mantle and was forced up from the depths during a plate collision several hundred million years ago. Peridotite lacks the usual nutrients required to sustain most plant life, hence its barren appearance. Underneath this weathered zone, the rock is really a dark green color. I would not have been surprised if a little green martian or a Star Wars character, R2D2. poked its head up..eerie. 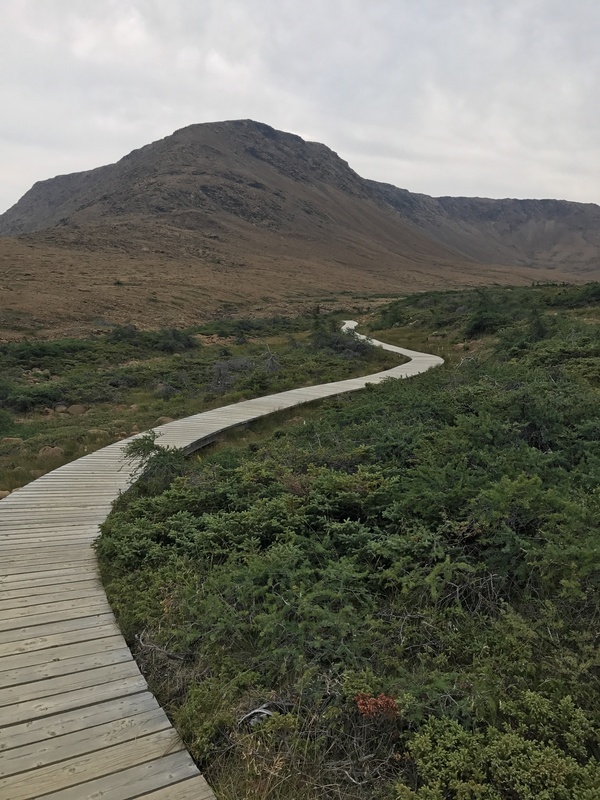 Side note: I love these boardwalks the Canadian Park system has .. this one was over a mass of rocks interspersed with low growing shrubs. 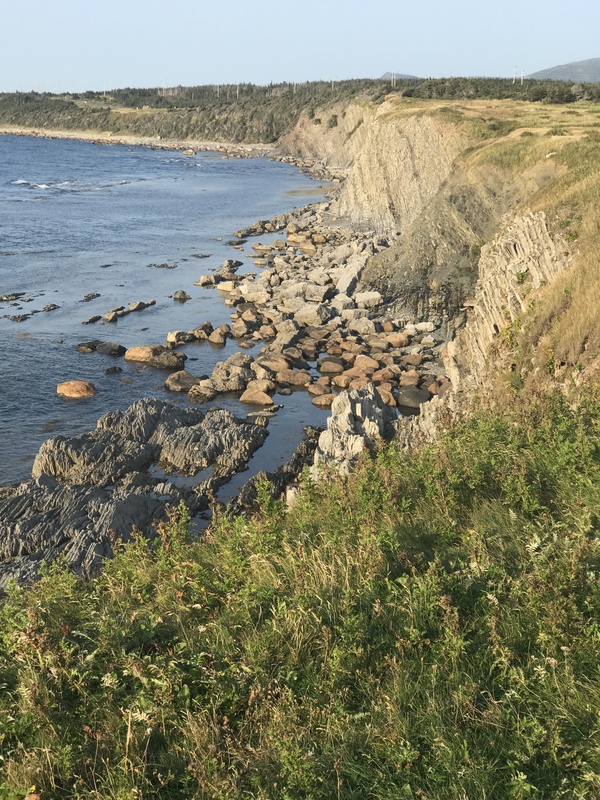 Lots of time was spent in Gros Morne walking along the coast, short hikes, and taking in a world I had never seen. 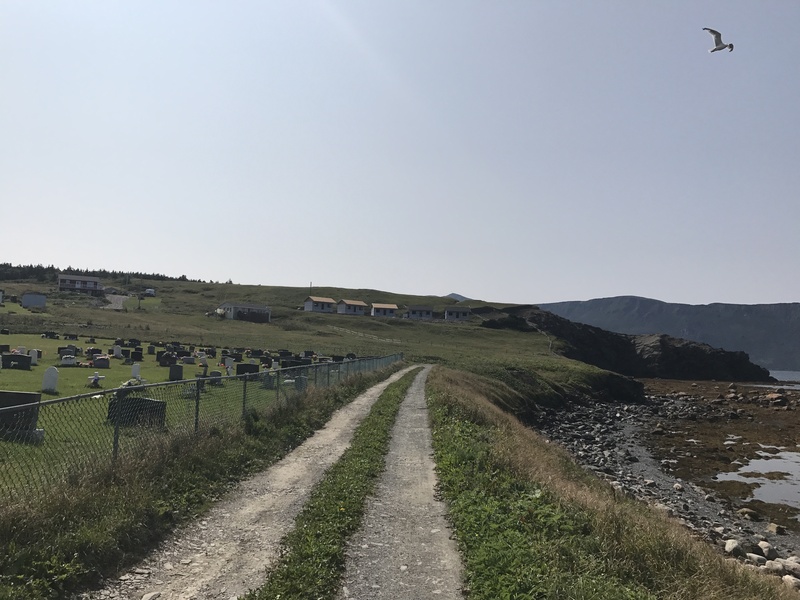 Graveyard, old fishermen’s houses and not sure how I got on this road! 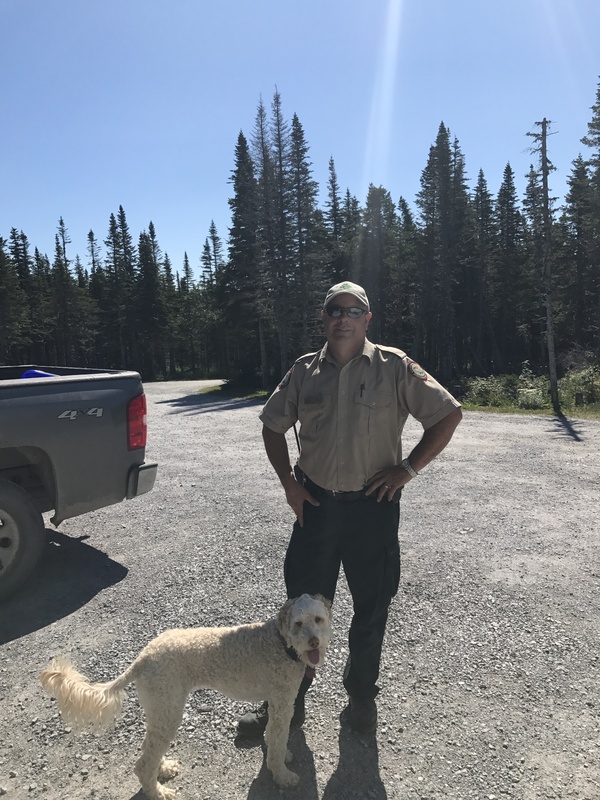 We headed south to Terra Nova National Park and here we stay for a few days. Such a rugged coastline. It appears you all are doing fine. Are you getting homesick yet? I am usually homesick for the road, not the other way around! Sounds like an amazing trip so far. Thanks Charlie!, Lets go for a dog sled tour!! Omg.. love you! I am enjoying your blogs. I may not be able to travel for a while so the pics and your narrative is helping me cope with being Dave’s care giver. Thanks so much.